KTN anchor Michael Gitonga had a few words to say after George Wajackoyah flaunted a Kes 1.2 million wristwatch while being interviewed live on TV. Gitonga hosted the flashy lawyer together with Seme MP James Nyikal and Nandi Senator Samson Cherargei on Morning Express to discuss lifestyle audit as ordered by president Uhuru Kenyatta. 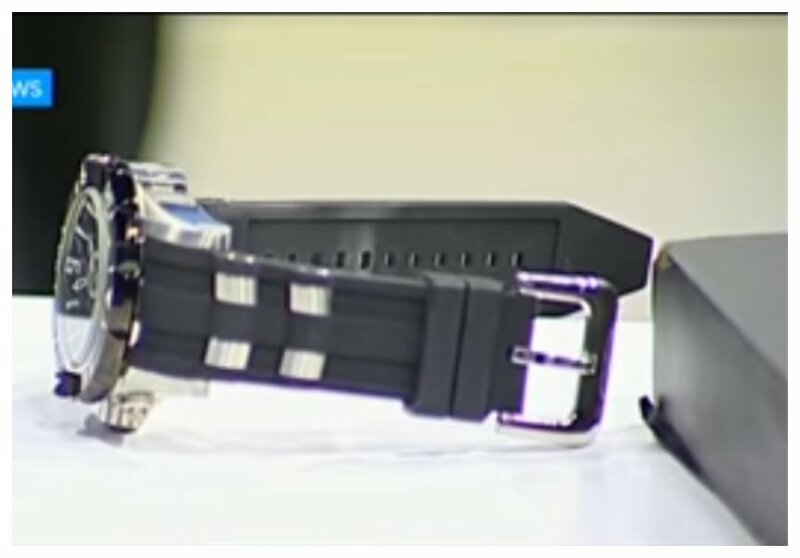 The lawyer demonstrated that he had nothing to hide about his wealth by flashing the pricey wristwatch he had worn at the time of the interview. Wajackoyah told Gitonga that he could account for how he acquired his expensive wristwatch. He removed his watch, put on the table and went on to explain that he saved to buy the watch while working in the UK. “Ask how I got it. I saved. I was practicing law in the UK and I saved. And because I could afford it, I can actually account for how I got that watch. It’s Sh1.2m, it’s my lifestyle,” George Wajackoyah stated.